Excavation is a specialized service, one that requires experience and a commitment to getting the job done right. 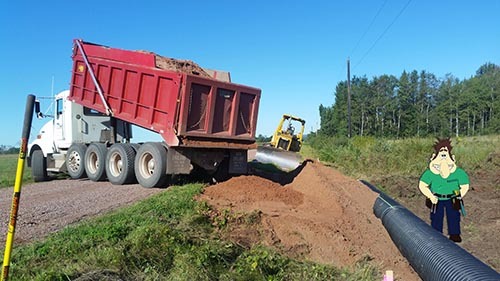 From site prep to delivery of the right aggregate materials, KV Tech Construction has the energetic and skilled excavation team to tackle your project in the greater Cable, WI area. Many residential and government projects in our area start with raw, undeveloped land. Often parcels will require a combination of services to achieve the project goal. For these projects, KV Tech Construction can clear trees, develop new access roadways, and prepare locations for building trades. Our excavation team can remove trees and brush for initial roadway access, and complete a driveway or road to meet design requirements and local codes. With easy access to road building aggregate materials from our sand and gravel pit, we offer a complete package. Often basements develop water problems because of poor drainage around the foundation. Improving basements is an important project that requires precision excavator operation. Our excavation team can excavate around your basement and foundation, install drainage tile, insulate and waterproof and then backfill with the right layers or sand, gravel and other materials to insure proper drainage. This will make sure your home is safe and protected against the damaging effects of water for many years to come. At KV Tech, we have our own sand and gravel pit, so we’re always able to provide the right type of topsoil, sand, rock and gravel from our own sources. When we need a specialized stone we’ve got the resources to provide that as well! 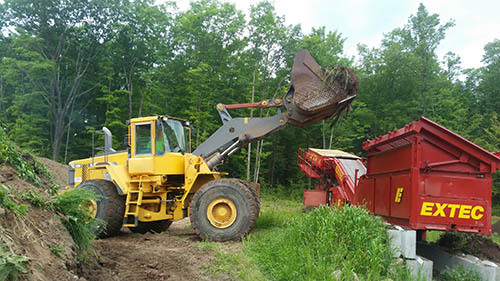 For homeowners and builders looking for state-certified mound system sand to complete a septic system, our screened sand can be delivered right to your site. Need skilled excavation work done? Contact us or call (715) 765-4483 for a site prep estimate today. 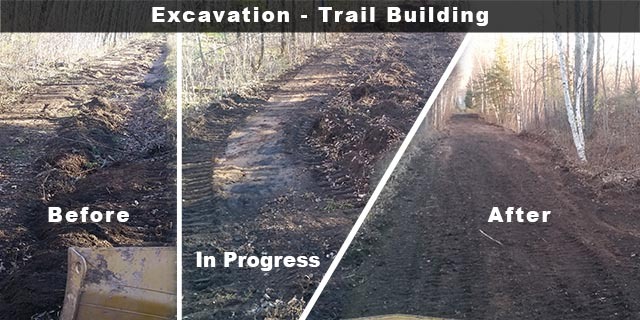 Need excavation or site prep services? You can trust KV Tech! We own our own pit with clean fill sand, state certified mound system sand, gravel, topsoil and rock.